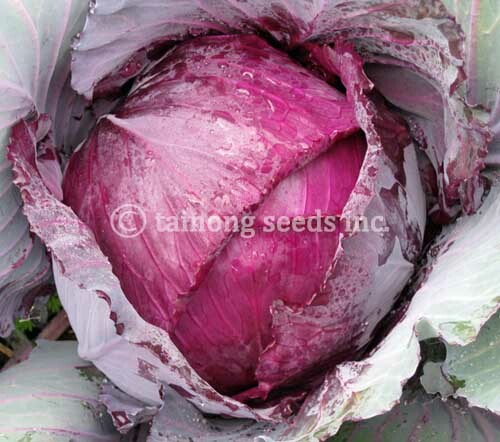 Cabbage: Red/Savoy types | Tainong Seeds Inc. 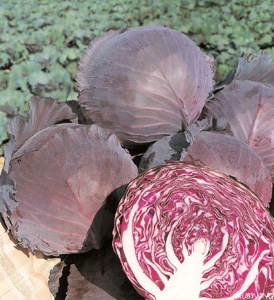 Uniform, compact, short core head with thick and tender leaves. Excellent quality and taste. Deep Purple-red color. 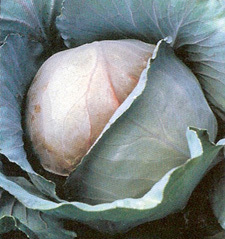 3.5 – 5 lbs. About 70 Days. High yielding with uniform maturity. Deep red color with short core. ~99 days direct seeded. For fresh market or fresh cut market. Mid-early maturity, ~99 days direct seeded. Tall, erect plant type. Garnet red color. Good size, uniformity, earliness. 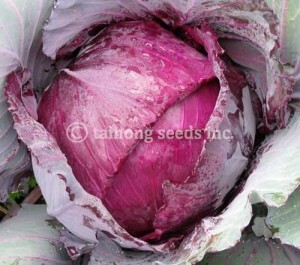 Dense and short cored with deep internal color. Resists cracking and is suitable for fresh and processing markets. 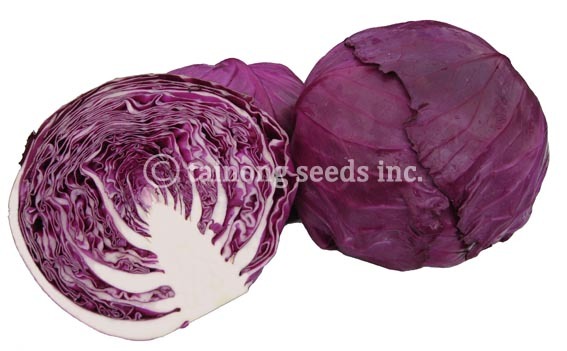 Attractive color and good uniformity with good field holding ability. 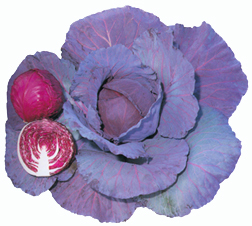 Solid, round head with bright purplish-red color. Good tolerance to both heat and cold. Deep red color, heavy yielder. Medium maturity, ~80 days after transplanting. Very solid head, late bursting, highly productive. 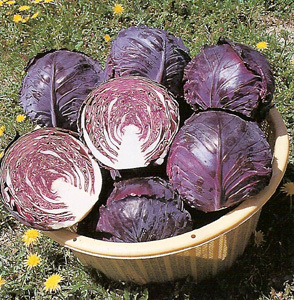 Medium size plants, for winter harvest.